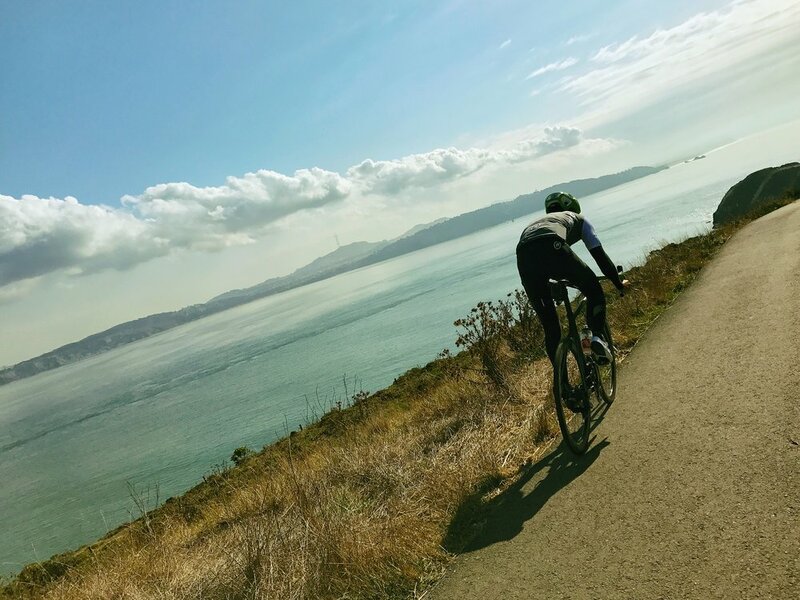 The Tennessee & Rodeo Valley Gravel Ride, or The TRV, is one of the fastest and easiest ways to get out on the dirt from downtown Mill Valley. Escape town to the bike path along the bay, the quiet road into Tennessee Valley, and plenty of dirt roads in the Headlands. Enjoy sweeping views of the Pacific Ocean to one side and all across the San Francisco Bay on the other. In addition to the natural beauty, you will ride through the historic military bases and missile sites nestled in the hills above Rodeo Beach.